Singer and guitarist best known as a member of Swmrs, formerly known as Emily's Army. The band has played festivals like the Vans Warped Tour and the Soundwave Festival. In 2016, he became a vocal advocate for immigration reform. Swmrs cycled through several band names before settling on Emily's Army. The name originated to honor Cole's cousin Emily, who had cystic fibrosis. Swmrs has released nearly half a dozen EPs including Miley/Uncool and Regan MacNeil. 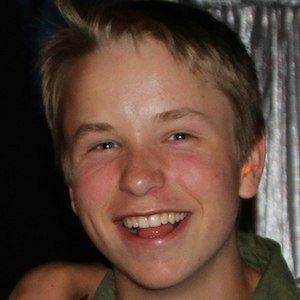 His older brother Max Becker joined Swmrs as its bassist shortly after the band's formation. He also has an older sister and a younger brother. Swmrs first album as Emily's Army was produced with help of drummer Joey Armstrong's father, Billie Joe Armstrong.